There is this gal, Jenny, who I’ve been following for awhile. She’s a food blogger at Dinner a Love Story. I realize there are thousands of food blogs out there, especially those geared toward family meals, but this one is different. For the past 14 years Jenny has been keeping a log in her “dinner diary”, initially starting with her weekly meal plan and that turned into documenting the success of each dinner. From this diary she has now created a cookbook about real food. 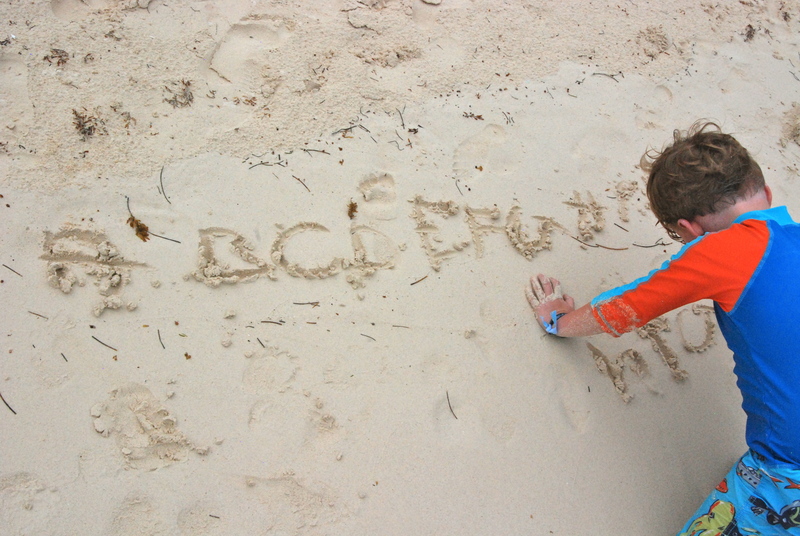 Just another way to use handwriting as a tool to keep some of the most meaningful moments in a sacred place. 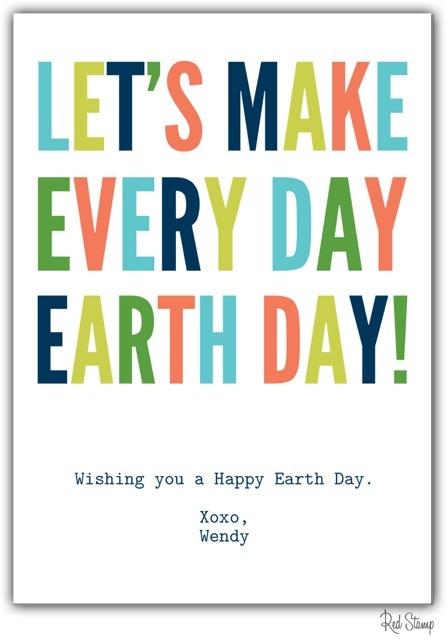 Earth Day, like many other “noted dates,” has become a bit commercial if you ask us. 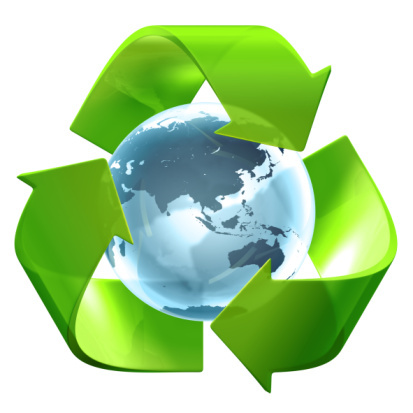 The Recycle icon can be seen anywhere from the Today Show to the side of canvas shopping bags. With that said, is still stands as one of the most remarkable happenings in the history of green democracy. 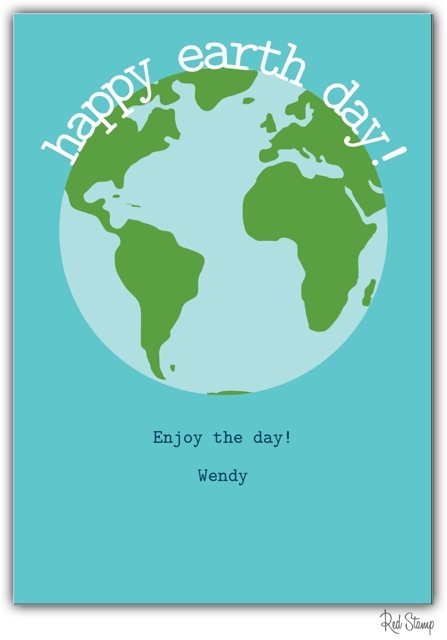 The very first Earth Day, in the spring of 1970, not only supported the first green generation but brought worldwide attention to the environmental crisis that continues to impact our country and world. So how can one continue this movement which will effect our children, grandchildren, and so on? Recycle, compost, bike not drive, turn off your lights, donate to your local green nonprofits, and use the following products. 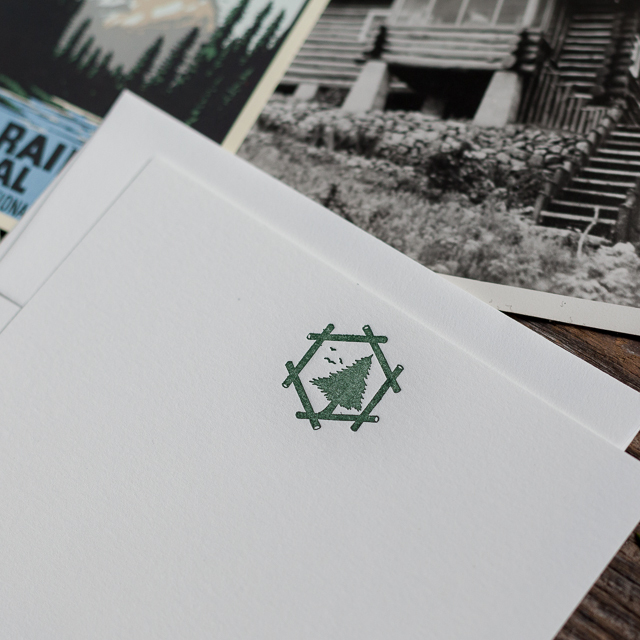 Lead Graffiti, a graphic design company who specializes in letterpress, sell these rockin’ boxcard cards. 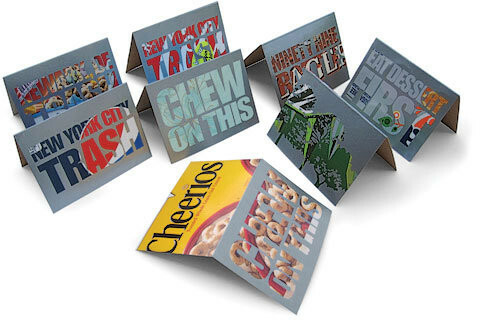 The top seller at the National Stationery Show in 2010, the repurposed packaging comes from a selection of food-related products such as cereal, soft drinks, and beer. 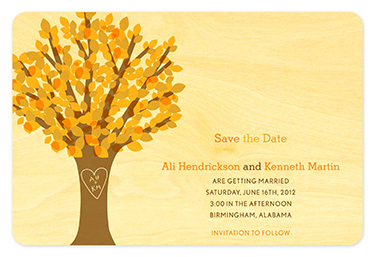 If planning a green wedding, check out the Save the Date cards by Night Owl Paper Goods which are printed on eco-friendly, sustainably harvested wood. 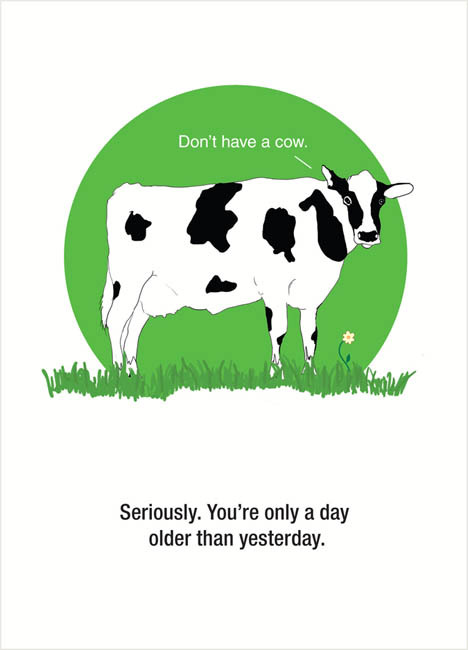 The Cow Card from Seltzer Goods is made on 100% post-consumer recycled paper with eco-friendly ink. The folks at Calypso Cards are serious about the environment. The journal above is actually made from tree-free paper. Tree-free paper? Come again? I’ll keep looking for ink-free pens but not sure I’ll ever find one. Or want to. If we are truly talking Green, one direction to go is with a digital app. Yes, I get it, this is far from the handwriting we here at Brown Ink support but the folks at Red Stamp believe in sending messages the best way they know how. 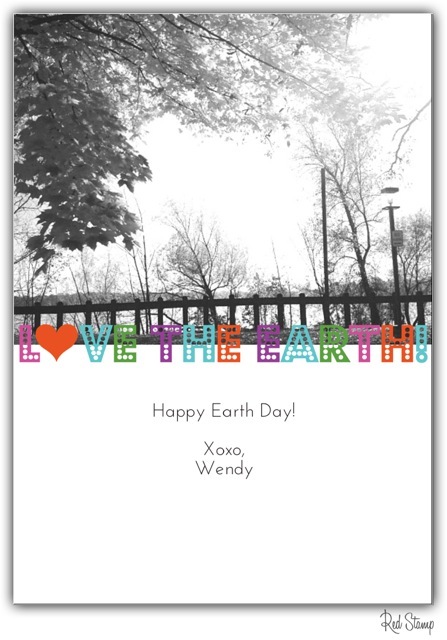 Check out their Earth Day card selections below and it’s easy to link to their website where one can download the application and find the Earth Day cards in the Happy section (Thanks Dan!). So head outdoors, think about doing less, and use the back of a receipt from Whole Paycheck to invite your friend on a bike date to your local free trade coffee shop where they encourage you to bring your own mug. Here’s a reader who makes an avid journal writer proud. Last Sunday there was an article in the NY Times Book Review that thankfully caught Grandma Sally’s eye. 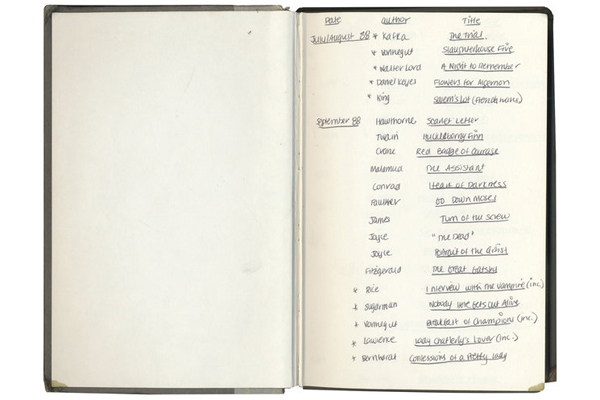 Pamela Paul has been keeping a journal (she named it BOB, book of books) of the all the books she has read since 1988, the summer of her Junior year of High School to be exact. 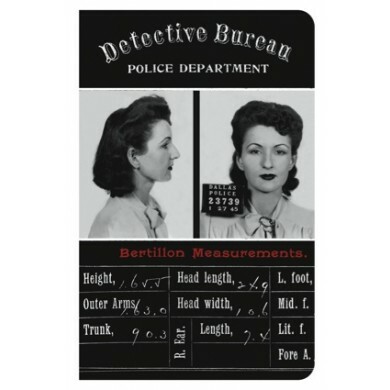 Here is a woman who had a difficult time keeping a journal so instead found a way to capture what was happening in her life through the books she read. Whether they were novels she was handed from fellow travelers while backpacking around the globe in her 20’s, or self help books later in life, BOB was there to keep track of her “literary foibles, passing curiosities and guilty pleasures” throughout her life. I think it is a stellar idea especially for the vigorous readers out there. Sometimes after I read a book that I want to keep, I’ll write the date and location of where I did most of the reading. And, every so often, when I return to our bookshelf and see my notes inside the cover it takes me back to that place in time. It becomes a unique guide to remember exactly what was going on in my life by having written down only a small bit of information (although sometimes the weathered pages from ocean water and oil-stained fingerprints are a dead give away of vacation locales). For those of you on the West coast, this weekend is the Los Angeles Festival of Books where attendees will be socializing with writers, publishers and fanatical readers. It’s thought to be the largest public celebration of the written word. 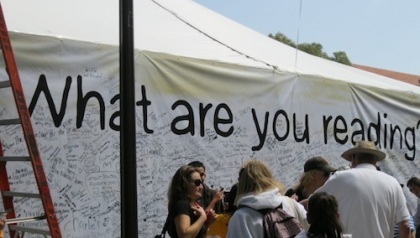 Festival goers are even invited to grab a marker and give a shout-out to their favorite books by posting book titles on the giant “What are you reading?” graffiti wall. Now that’s pretty cool. 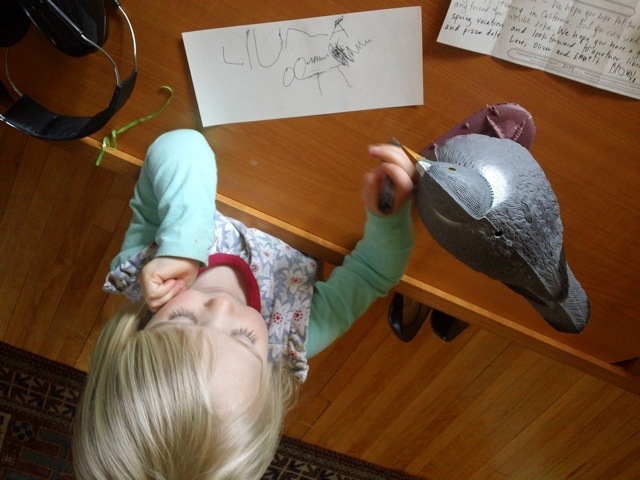 Delighted to see our friend, Maxine, keep the Pigeon Post moving forward by sending her handwritten note to friends. Can you imagine if we created a buzz and the Pigeon became the hottest way to deliver mail? OK, this is in a dream world, I understand. But it sure gets folks excited about writing. Thanks Letter Writers Alliance for keeping the postal spirit afloat.